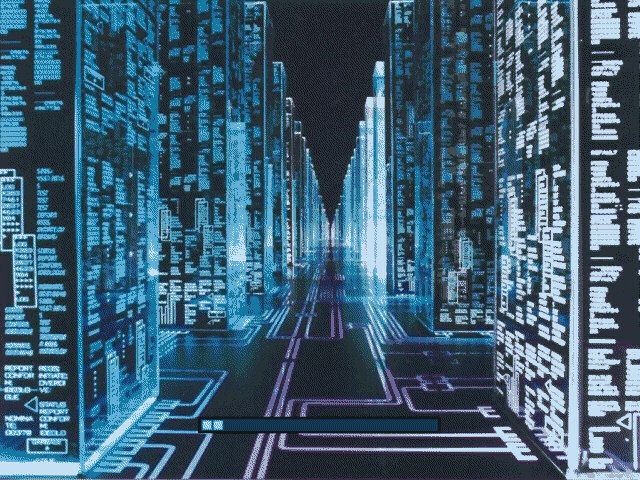 Here's a boot skin making use of a rather neat image from the film "Hackers" from Artem Entertainment. Progress bar support included. Comments welcome, please enjoy. FINALLY - Now it works, too! This boot screen is awesome! Great Job. Dude, great concept! I seem to be having problems using your skin with XP, tho. Any help? Sorry, there have been palette troubles with this screen. A new version will be uploaded shortly. Thanks, and again, sorry. Its still not working for windows XP, any idea's mate? Hackers was a fantastic movie, I loved Angolina Jolie in it !!! beautiful work & i loved the movie too. You know, it doesn't work on my system either. I am baffled. My previous skins have worked, (Matrix Glyphs) but this and Global Paint are simply problematic. If anyone has any ideas why, please tell me. I'm building with the latest version of Bootskin, and I am quite sure about the palettes being only 16 colors. Thanks guys. Sorry again for the initial troubles...My "stupid moment" lasted far too long.